Welcome aboard the U.S.S. Discovery! Join the crew and make it official with the Star Trek Discovery Property Of T-Shirt. 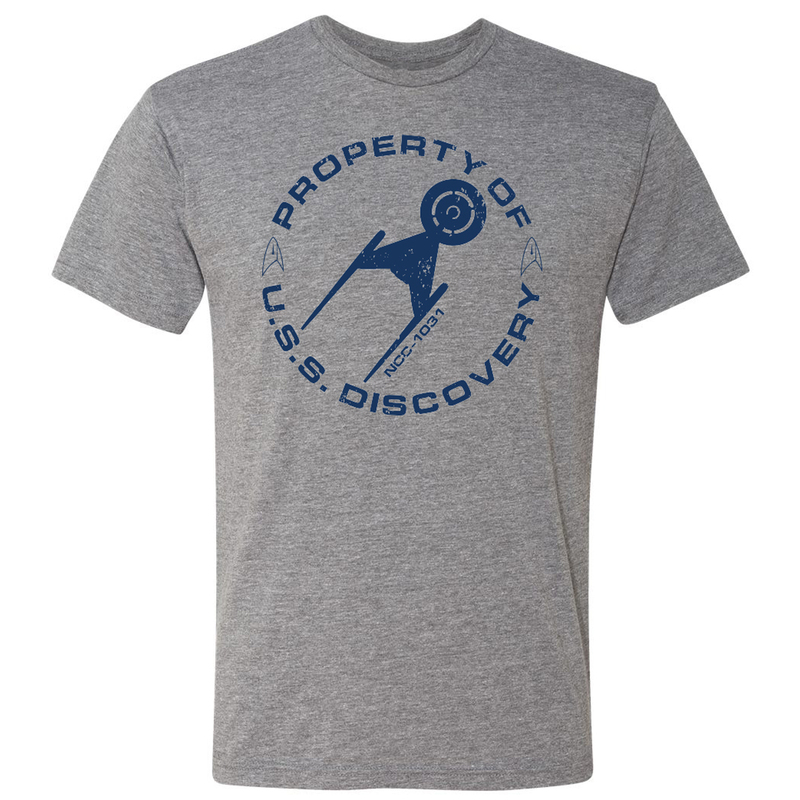 This t-shirt features the silhouette of Discovery along with “Property of U.S.S. Discovery NCC-1031”. Add this comfortable t-shirt to your collection, it's perfect identifier of a true fan. I bought this shirt for my son-in-law who is a big Trekkie and can be a little bit hard to buy for. When he opened the package, I could tell he was very pleased and he said thanks, he loved it! Nice. Thank YOU, Star Trek Shop!